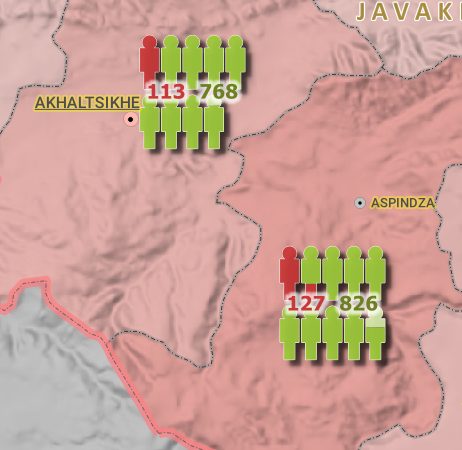 QGIS - How to differently colorize labels from two separate fields using color expression script? I have 2 fields, I concatenate them [concat(to_string(field1), ' ', to_string(field2))] to show their labels side-by-side. 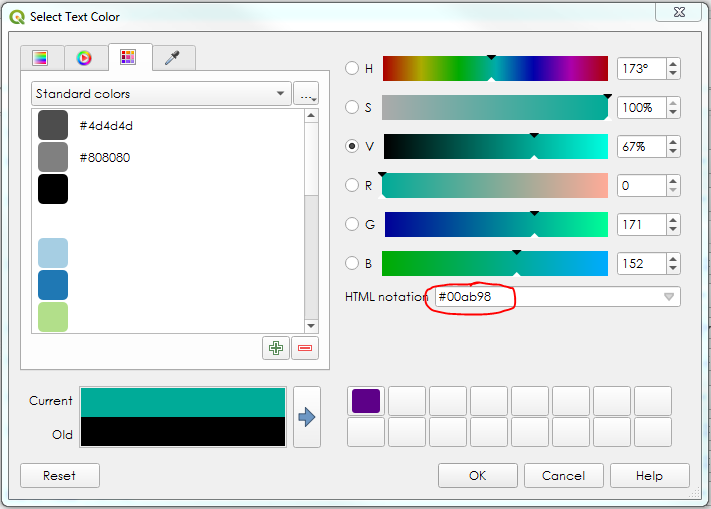 Is it possible to colorize from "text color expression" (using some scripts) first label in "color1" and second label in "color2"? You may be able to use Symbology, rather than Label. 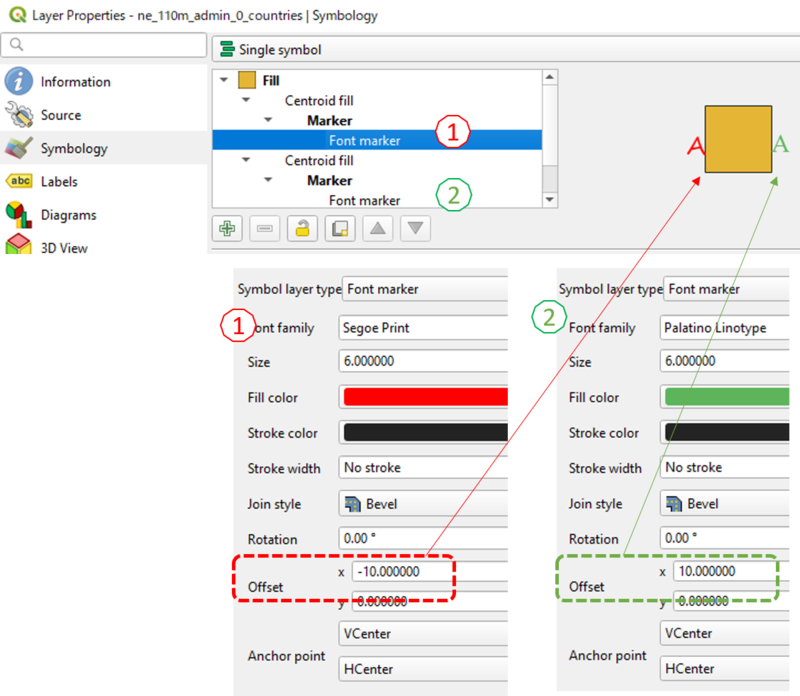 (1) Choose Symbology tab and add two layers of Centroid fill with the Font marker type. Give negative offset (e.g. -10.0mm) to red, and positive offset (e.g. 10.0mm) to green. (2) Highlight Font marker. Scroll down a little bit further, and click on the Data defined override (a small pull-down menu). Select each of your field for the corresponding color. 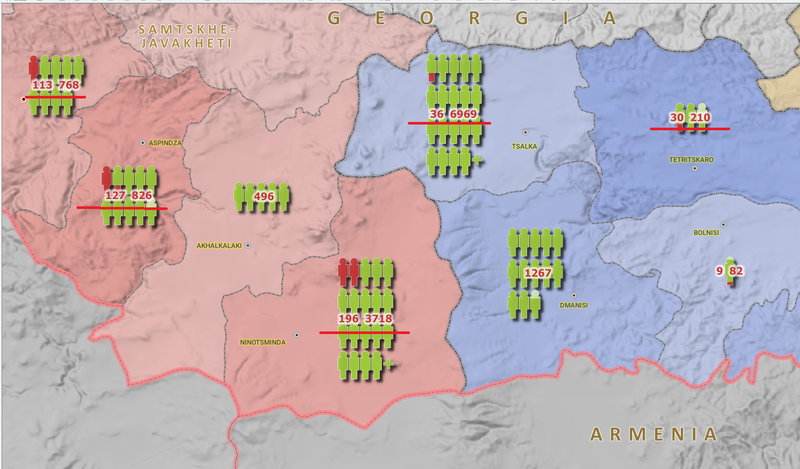 (3) You will probably have to adjust font size and offset value, by visually checking what you see on the map. EDIT: I misread your question, my apologies. I thought you wanted to select a color using an expression which depended on the value of two fields. Sorry about that. Not the answer you're looking for? 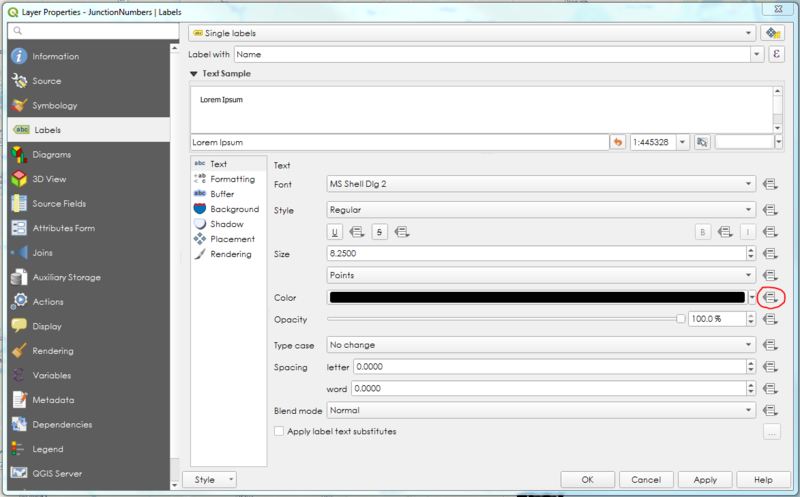 Browse other questions tagged qgis labeling color expression or ask your own question. How to make a different font and color of text in labels?